Prime Logic can help to identify ways to improve performance and promote your business. Bringing together the tools and methods used for promoting products and services on the internet. With todays world things need to look good, whether it’s your logo, web graphics, Facebook post or anything else it all needs great design. IT is constantly changing, keeping up to date with it is a business in itself, and now such an integral part of nearly all businesses, it cannot be left to chance. We have developed web applications ranging from holiday booking systems to car dealer management systems. 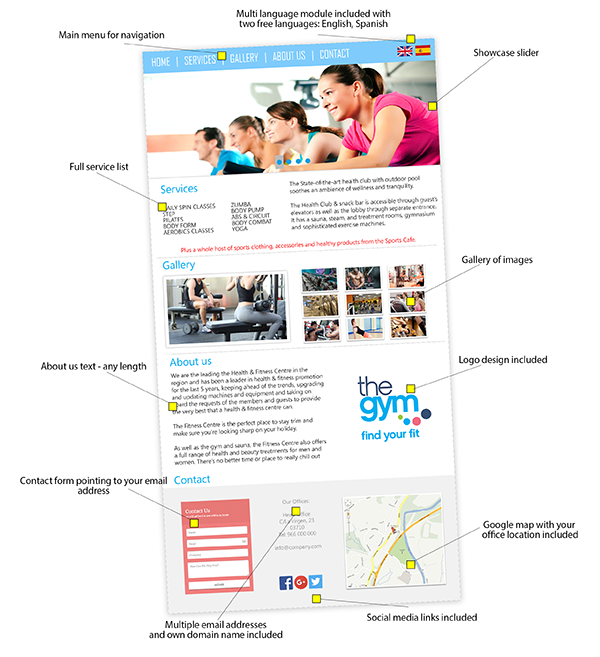 A Microsite is a website that delivers more focused, relevant content about a specific topic or service. Our Microsite product is offered to smaller companies who do not want to invest a large amount as an initial payment and they also don’t want the monthly hassle that comes when you have a website. We will provide you with a quick yet elegant solution that will perfectly suit your company. You will have a website, email addresses, your own domain name, a server to host your files and also us as a team to stand behind it all. Excellent enthusiasm for continual improvement, since being with Prime Logic, White and Baos have gone from strength to strength. Really pleased to work with them. It’s great to have help when you need it, since using Prime Logic my office has really noticed the difference from computer security to online marketing. Partner with a team of business consultants and experts to launch or grow your business. Our team of business experts are here to assist you with everything you may need to start your business from the ground up or assist you with everything you may need to grow your business. Want to know when we´ve got exciting news?